Deputy Director of Hunan Province Department of Transportation Li Xiaoxi was placed under investigation by the provincial Committee for Discipline Inspection for serious disciplinary violations. Offering or paying bribes to Chinese officials and local employees puts the hosts at enormous risk. A case in point may be Control Components Inc. (CCI). When it pleaded guilty in late July to violating the Foreign Corrupt Practices Act and the Travel Act, it admitted bribing employees from at least six Chinese state-owned companies: Jiangsu Nuclear Power Corp., Guohua Electric Power, China Petroleum Materials and Equipment Corp., PetroChina, Dongfang Electric Corporation, and the China National Offshore Oil Corporation (CNOOC). On Saturday, CNOOC issued an unusual statement saying none of its people took bribes from CCI. Xinhua's report is here. One of China's most visible executives was sentenced to death last month for corruption but will probably end up serving a life sentence instead. Chen Tonghai, 61, the former chairman of Sinopec Corp, was convicted of taking $29 million in bribes between 1999 and June 2007. The court said he was also involved in illegal land transfers involving the company's property. Chen's death sentence was suspended for two years after he confessed and helped with the government's investigation. 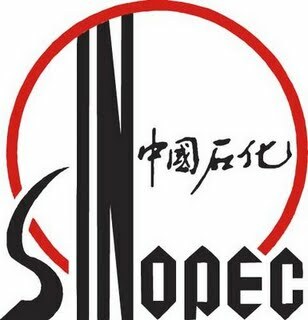 Sinopec -- China Petroleum & Chemical Corporation -- is the biggest oil refiner in Asia and has a market cap of around $80 billion. The Chinese government owns just over 75%. Chen joined the company in 1999 and became chairman 2003. According to the China Daily, he previously served as mayor of Ningbo in Zhejiang province and as deputy commissioner of the State Planning Commission. The paper said his father was "Chen Weida, a high-profile revolutionist and senior official." None of the bribe-payers have been named in the case and the Chinese government hasn't said if any foreign firms may be implicated. A couple of weeks ago the China Daily also reported the execution of the former head of Beijing airport's management company. An intermediate court found 60-year-old Li Peiying guilty in February of accepting almost $4 million in bribes and embezzling about $12 million in public money since 1995. He headed Capital Airports Holding Co., the operator of more than 30 airports in nine provinces with 38,000 employees. Last Friday, China's media reported the detention of the head of the China National Nuclear Corporation, the state agency leading the country's nuclear power industry. Kang Rixin is being investigated in a $260 million corruption case for allegedly using public funds to buy stocks, accepting bribes and interfering with the bidding process for nuclear power projects. Kang, 56, is also a member of the Chinese Communist Party Central Committee and sits on the party disciplinary committee that is investigating him. The AP said, "China puts to death more people every year than all other countries combined, with 5,000 executions expected to take place this year, according to the San Francisco-based Dui Hua Foundation, a human rights monitoring group. The Chinese government itself does not provide an annual count."